An area recently equipped by Pipe (2011). 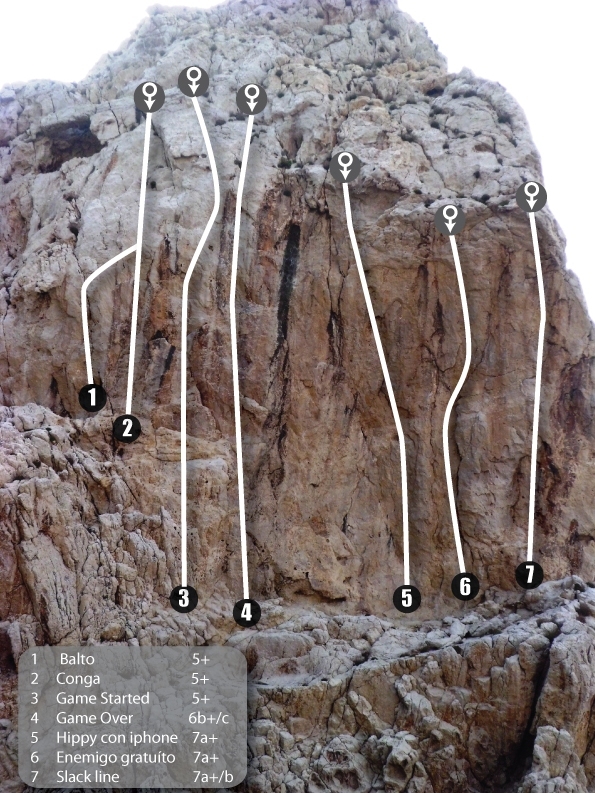 It offers some shorter routes in the eaiser grades and some 7a+'s which are apparently tricky for the grade. Like the Pared Roja, good conditions are hard to find here as the wall is right next to the sea and the routes are often damp and greasy. The bolts should still be in good condition for the next couple of years/ Un sector nuevo equipado recientemente por Pipe(2011?). Hay algunas vías fáciles y cortas y los séptimos son duros para el grado (aparentemente). Como la Pared Roja, las buenas condiciones son difìciles de encontrar y las vías suelen estar humedas o mojadas. Los chapas deberían seguir bien durante el próximo par de años. Use the same approach as for the Pared Roja. Keep walking down the road, past the Pared Roja until you are almost level with the sea. From this point the wall will be visible directly in front of you. From this point, pick up a cairned trail leading you through a small boulder field and then up a slab of rock (see photo below). 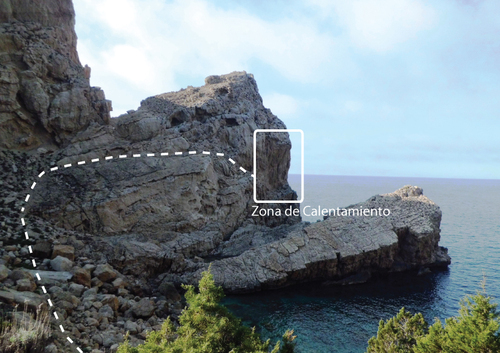 Continue traversing towards the wall until it is reached (a short section of downclimbing required)./ Utilizar el mismo camino que para la Pared Roja. Sigue caminando por el camino, pasando la Pared Roja hasta que estás casi al nivel del mar. Desde este punto la pared será visible en frente. 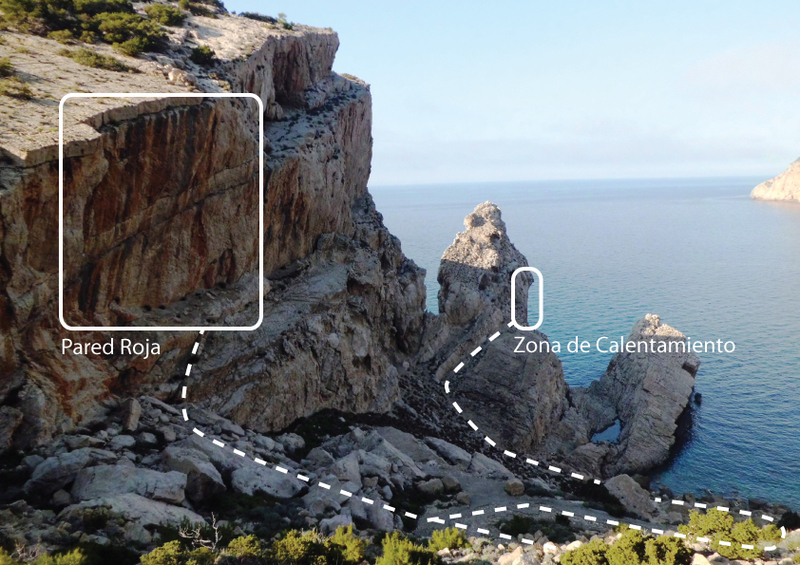 Desde este punto, seguir un sendero (marcado) a través de un campo de rocas pequeñas y luego por una losa de roca (ver foto abajo). Siga recorriendo hacia la pared hasta que alcance (en una sección corta es necesario destrepar).